I can’t remember a fraction of the books I’ve read, but those I do remember are probably the ones which have influenced me more significantly. 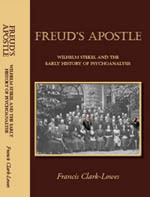 I have not included here books which I read for research purposes such as the works of Sigmund Freud and Wilhelm Stekel. For philosophical works, see Philosophy. I am a slow reader. 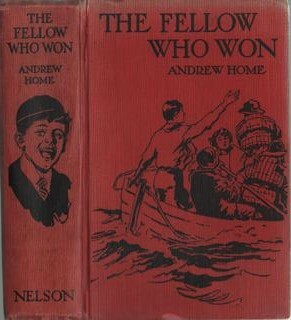 At Hillbrow some of the boys made fun of me for taking ages to read The Flaming Forest by James Oliver Curwood, or The Fellow Who Won by Andrew Home. These hardback books, with their distinctive circular reference number on the spine (the illustration doesn’t have this because it’s not of a Hillbrow copy), had been acquired by the library when the school was still in Rugby. Most of the other books also dated from that time. The two I’ve mentioned were my favorites. Others I remember reading are Thomas Alva Edison (a biography) and Out on the Pampas, by the well-known author of adventure stories, G.A. Henty. This last contained scenes of bloodshed by colonists against the indigenous population of South America which, like the Cowboys and Indian films we watched, we considered entirely justified. Curious that I should later have become so incensed against the Israelis for doing the same. Robert Louis Stevenson’s Kidnapped and Catriona kept me busy for a term or more. At Shrewsbury I read Against the Law by Peter Wildeblood, at a time when homosexual acts still were, though in 1957 the ex-headmaster of Shrewsbury, John Wolfenden, had issued his report recommending legalisation. I suspect I also read George Orwell’s Animal Farm at Shrewsbury, and possibly also 1984. While selling ice-creams at Morecambe in the indifferent summer of 1962 I had plenty of time for reading. I particularly remember Aldous Huxley’s Brave New World, which had quite an influence on me. At the South West Hertfordshire College of Further Education I encountered and loved Keats, probably for the first time, as a collection of his poetry was on the syllabus for English A level. So was a collection of comedies, which I still posses, containing Beaumont’s Knight of the Burning Pestle, Sheriden’s The Critic and Oscar Wilde’s The Importance of Being Ernest. (The Beaumont play was thought at that time to have been a collaboration with Fletcher.) Another book we read at SWHCFE, where it was on the A level English syllabus, was Aldous Huxley’s Brave New World Revisited, a work of non-fiction referring back to the novel. Around the age of twenty, under the influence of my friends Jean and Wendy, I read quite a lot of D.H. Lawrence. He is undoubtedly a good writer, and I like some of his poetry, but something about him doesn’t quite click with me. The same influence led me to James Joyce’s Ulysses, which I persuaded my father to give me for my 21st birthday. I struggled through it, but more by pushing my eyes along the lines of print than through a desire to find out what it was about. While doing the series of walks which eventually joined up to become my John O’Groats to Lands End Walk I read a number of travel books, among which I think was H.V. Morton’s In Search of England. I’m fairly sure I owned it, though I no longer do. If I did read it, then I think it will have been quite an important influence. For years I sought an idyllic rural life, to which my move to Bracknell was seen as a step (a curious one, you might think). He may well also have reinforced my conservatism. I think my copy of Morton’s book came from my father, and I suspect that a remark he made in a letter to my mother about having fought the war to preserve the English countryside was Morton-inspired. During my time in Paris I read and immensely enjoyed Les carnets due major Thompson an exploration in fictional form of the differences between the English and the French. I was rather disappointed to find more recently that I can no longer read it fluently. After I had learnt German and was married to Angie I read a couple of books in this language which had a lasting influence. One was Stefan Zweig’s Die Welt von Gestern, which is a reminder of how much we have lost since the outbreak of the First World War. Bruno Kreisky’s little autobiographical essay, Die Zeit in der wir leben, moved me to tears on a flight diverted to Prestwick when I was living in Jeddah. I have two volumes of Kreisky’s full autobiography, and was waiting for the third to appear after his death, but mysteriously it never seems to have done so. Goethe’s Faust gripped my imagination as I studied it for my MA disseration. Curiously, while living at Givat Brenner kubbutz in Israel I read Leon Uris’s Exodus in German, because Angie has it in this language. Though I now reject almost entirely the account Uris gives of the foundation of Israel, I was at the time carried along by it emotionally, and thereby greatly influenced. Akiva Orr, Ilan Pappe, The Growth Illusion, Pilgrims Progress, In Search of Fatima, The Pity of it All ? Haywards Thesis Perdition. In the late nineties and early naughties I read, on my mother’s recommendation, almost all David Lodge’s novels and loved them. His critical view of academia particularly appealed to me. Edward Said The Politics of Disposession, Orientalism, Culture & Imperialism. Daphna Baram, Disenchantment: The Guardian and Israel. An amazing piece of research, which is very relevant to Brighton, is Charlotte Frost’s Sir William Knighton: The Strange Career of a Regency Physician which is published, like my book on Wilhelm Stekel, with Authors onLine. I’ve just finished reading it (October 2012) and thoroughly recommend it if you’re interested in the Regency period and the subsequent reign of George VI. Frost, whom I have met, has spared no effort to give as full a picture of Knighton’s life as possible, thereby throwing a fascinating light on that period. What particularly interested me were the manifold connections between the UK and Hanover before the accession of a woman, Queen Victoria, broke that link.